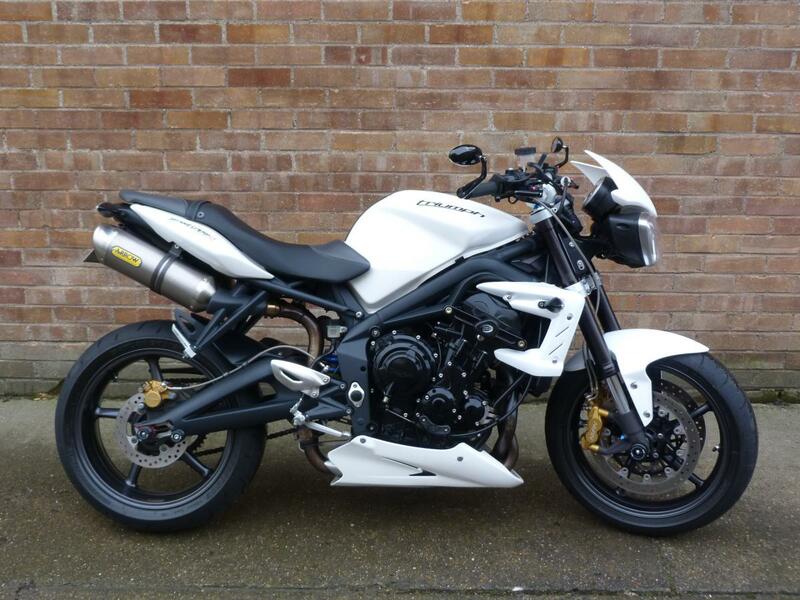 Here for sale is a 2012 12-plate Triumph Street Triple "R" 675 with 17,432 miles on the clock. This Immaculate Condition 675 "R" has been very well looked after and has a Full Service History. The previous keeper has fitted the bike with some very nice extras like a set of Arrow cans, Triumph Quickshifter, Genuine Triumph Pazzo style levers and bar end mirrors, Carbon tank pad, heated grips, radiator guard and many R&G crash protection products. It is a Stunning example of one of if not the most popular Triumph built motorcycle, its short, light and vary easy to enjoy!! !